What is a Regime Fee on Hilton Head? We have our own language when it comes to Hilton Head real estate. We say villas, regimes, harbours, plantations and complexes when others would call them condos, condo fees, marinas, PUD’s and projects. 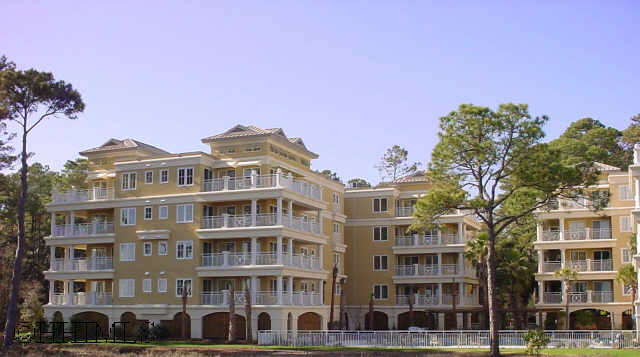 We use the word regime for condos in Hilton Head because when a condo is built in South Carolina, a Horizontal Property Regime is formed and recorded. This regime than manages the common property going forward. This blog is about regimes fees on Hilton Head Island. Common property that a Hilton Head regime will take care of can include the pool, landscaping, trash, pest control, wood infestation, roofs, walls, common area electric, common area insurance, roadways, and sometimes working capital. They may also handle common area liability and hazard insurance, administration, and collecting regime fees. The reason we say usually as all regimes do not cover the same things. When you buy a villa you own the inside space of your condo and undivided interest in everything around you. When you are standing out by the pool you own that spot, but when you are inside your villa no one else can ever be in this space unless you invite them. Basically everything outside the walls and windows other than the condensor unit is usually common property and taken care of by the regime. The owner is responsible for the liability and contents inside, the interior including all of the appliances and of course enjoying this great island without worrying about who is going to mow the yard. Put your feet up and ! Is it cheaper to own a home? Let’s just take a look at a typical regime and owning a home. Usually a regime fee will be somewhere around $450+/- per month. When you own a home you have to pay everyone separately sending checks for landscaping per month at about $150, pool maintenance per month at about $150, pest control per month at about $30, a termite Bond at $30, trash Removal at about $40, building maintenance estimate about $50, water and sewer at about $50, some insurance costs, someone to manage it, and some working capital reserve. This fee can also include some insurance , cable tv and other amenties. Regime fee allows owners to split the cost (based on unit size) between all the other owners. When its time to resurface the tennis courts, it may cost the villa owners something to have it done…the money often times already there with the proactive regimes nowadays. If it is not, the cost is passed on directly to owners, based on the unit size and location and is often less than owning a home when it comes to getting the property into tip top condition. Is it included in the Regime Fee? What about Pets? for owners? for renters? Are there Capital Assessments planned? Is Cablevision and/or Wifi included in the regime fee? Are there Special Assessments that are being billed or planned? Is the Water and Sewer for the villa included in the regime? Is the regime fee an average and based on percentage? Villas today offer a lock and go lifestyle on Hilton Head Island. It is no wonder many of the villa owners do not live here full time. They are looking for a lifestyle that allows them to travel. If you are interested in finding out more about this lifestyle, please email us at robbie@robbiebunting.com or call us direct at (843)785-7111. You can search Hilton Head villas by clicking here . Thank you.